I was with my bike yesterday , stopped somewhere for like an hour and on trying to turn key , no power at all , previous to this several times i had to wiggle the key in to get power on but yesterday it would not engage . So being quite far from home , 3.9 miles to be exact and in a hilly environment i pushed the bike home . 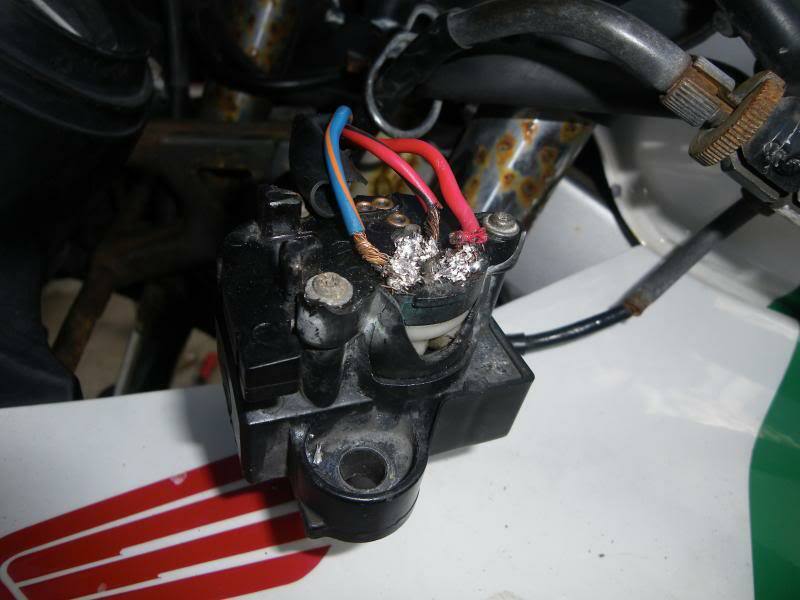 I pulled the wire off the ignition barrel thinking i'm gonna hot wire it but any combination i did , not working . Are there any tut's on how to do it please , still need to run the bike until i get a new barrel and key . Does anyone know if this will fit my bike please Motorcycle Ignition Switch+2 Key for Honda CBR 600 900 919 929 1000 1100 RR IDE | eBay ? If it fits gimme a shout, for that price I'm swapping mine too! Works but very loose. I'll see if I can figure out the wires from a wiring diagram tonight, you probly have to connect two pairs at once. Not exactly a tut but, when I purchased my 94, the po had cut the ignition switch off. 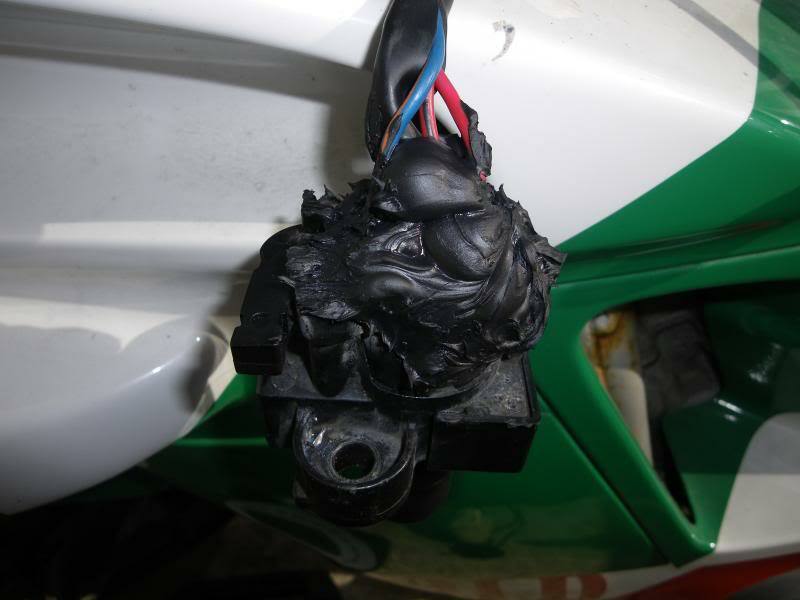 They used a simple pull switch as the ignition switch. There are only three wires there. One goes to the fan, one to battery (constant hot) and the last to the ignition. Take a test light/multimeter and make sure your getting power to the solid red wire. You can just undo the connector and test it there if you would like, makes it easier then backprobing. If you don't have constant voltage to that wire, then your problem may be the main relay by the battery tray. If you do, then your switch probably is bad. 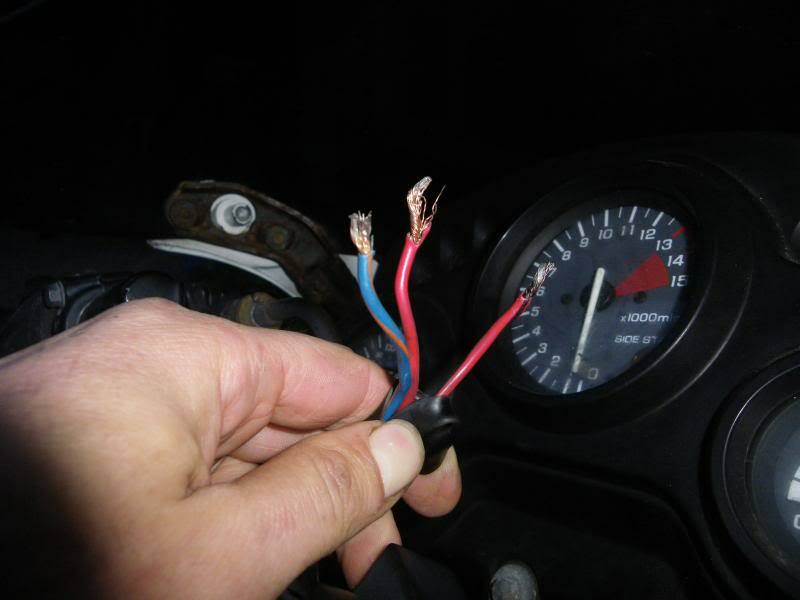 Take the ignition wire ( red with black stripe) and the fan wire (blue with orange stripe) and connect them together. Connect those two wires to one side of a on/off switch, then connect the battery wire (solid red) to the other and you should be in business. The color of the wires, I pulled from the wiring diagram in the manual. On my bike, the fan wire was more of a grayish color. But the other two are correct. Anyway, heres a pic of what was on my bike when I got it. You can see the three wires and the connection to the switch. Hopefully that helps ya out some. These are the wires , one of the 10a fuses was busted so changed that ... i put the 2 striped wires together but nothing , added the red wire to the bunch , still nothing . I had them bunched together since last night so maybe the battery has discharged . I will have a look tomorrow . Thanks a lot so far . Ok , today i took the seat off to see if the battery was discharged and it wasn't . Checked the fuse next to the battery and it was busted , replaced that and by touching the wires together lights came on . I tried a little on off switch on the wires but wasn't impressed so than i thought i'll have a look inside the ignition switch to see what's going on . Opened it up , cleaned it well , and put it back together , found that my soldering skills are not very good and put a building sealant around the connections where i think the trouble has started . Tried the key on / off , all is well , now i'm waiting for the sealant to dry hard overnight . It should be like new tomorrow . Thanks a lot for all the support .